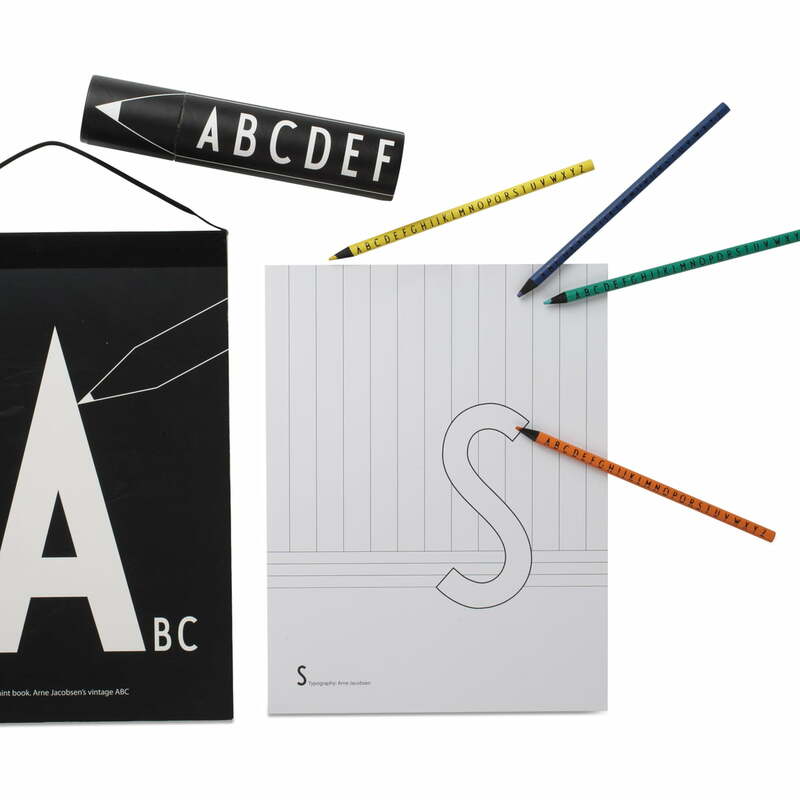 With the AJ colouring book by Design Letters, children playfully learn the alphabet. On each page, the colouring book contains one letter of the alphabet that can be coloured and decorated with crayons. The letters to be coloured – from A like apple to Z like zeppelin – were designed by Arne Jacobsen. The Danish designer originally created the typography for the interior inscriptions of the Aarhus town hall in Denmark. Nowadays, the letters, characters and numbers ornament different home accessories, writing utensils and textiles by Design Letters. The shapely letters serve not just as decoration, but also allow children to playfully learn the alphabet with colouring books, pencils, bedding, etc. 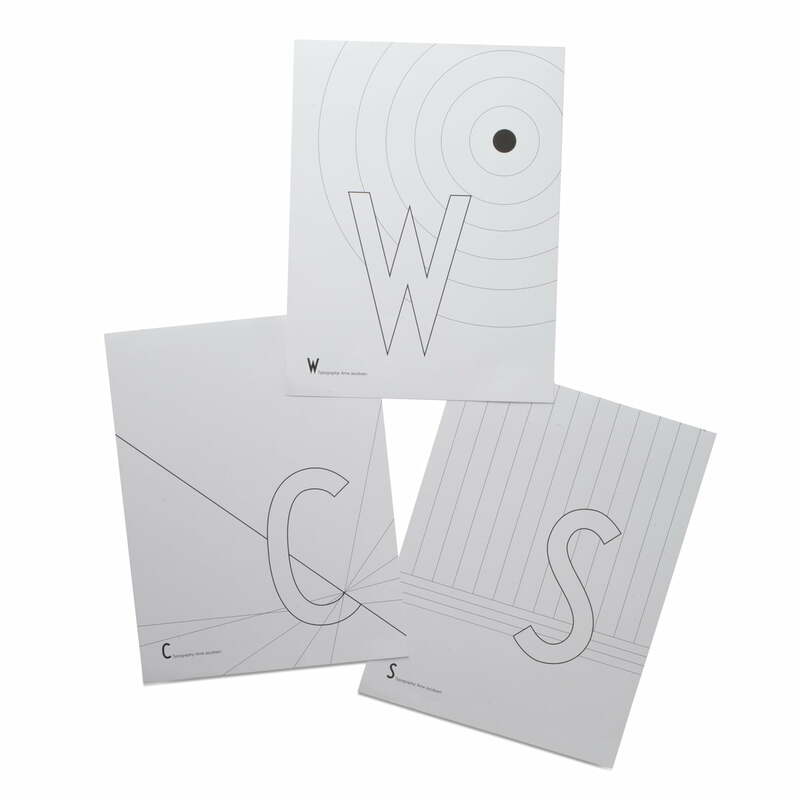 The colouring book by Design Letters offers space for individual drawings and ideas. Children can draw their own image for every letter and then simply hang it on the wall. The colouring book can be hung using a nail with the included fastening. But it is also possible to present single pages of the book. The perforated border makes it easy to remove pages and hang them in a frame, on the fridge with magnets or on a pin board. Single image of the AJ colouring book by Design Letters. A colouring book for little and grown-up creative heads. AJ crayons and pencils to match the colouring book are also available. Group image of the AJ colouring book pages C, S and W by Design Letters. 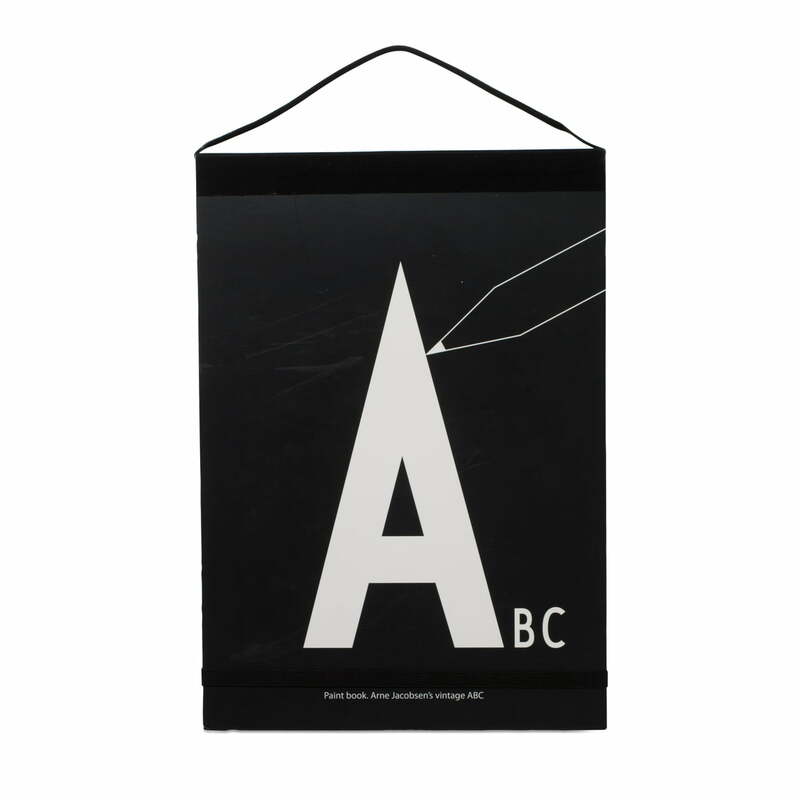 Different designs with single letters of the ABC let adults and children embellish the pages in colours, black and white or grey tones. There is no limit to creativity with the AJ crayons and matching colouring book. 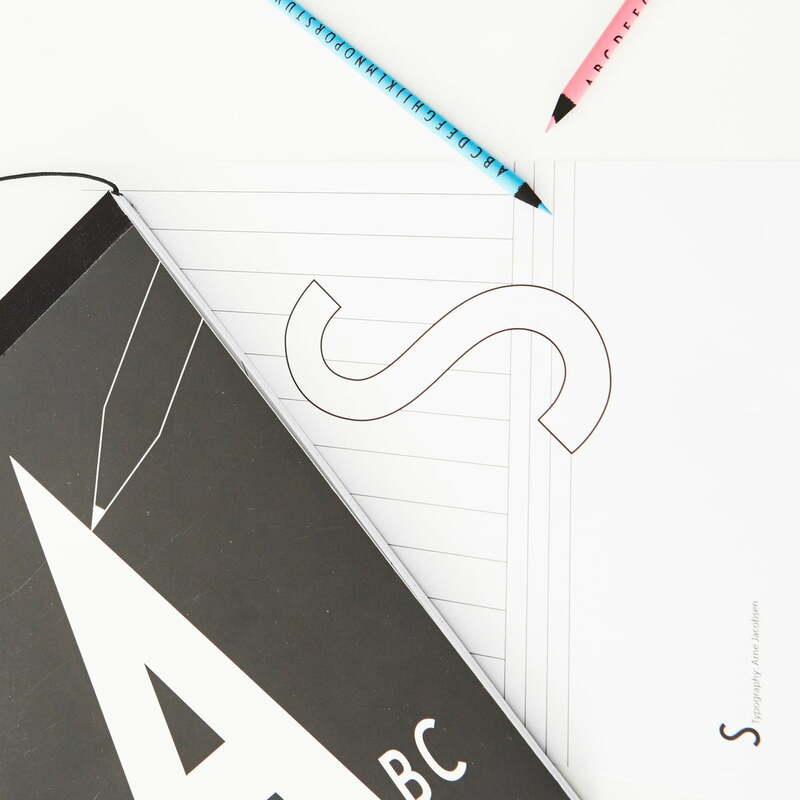 The AJ crayons by Design Letters are suitable both for use by adults and children. Whether hobby designer or future design artist, to relax or as a past time – The AJ crayons and colouring book are suitable for use both by adults and children. With lots of pages in different designs, the colouring book from the Kids Collection by Design Letters keeps adults and children occupied for a while.